Search-form presets - search for 'economy' and 'compact' car at the rental location 'Bavaro-Higuey - Punta Cana International Airport'. 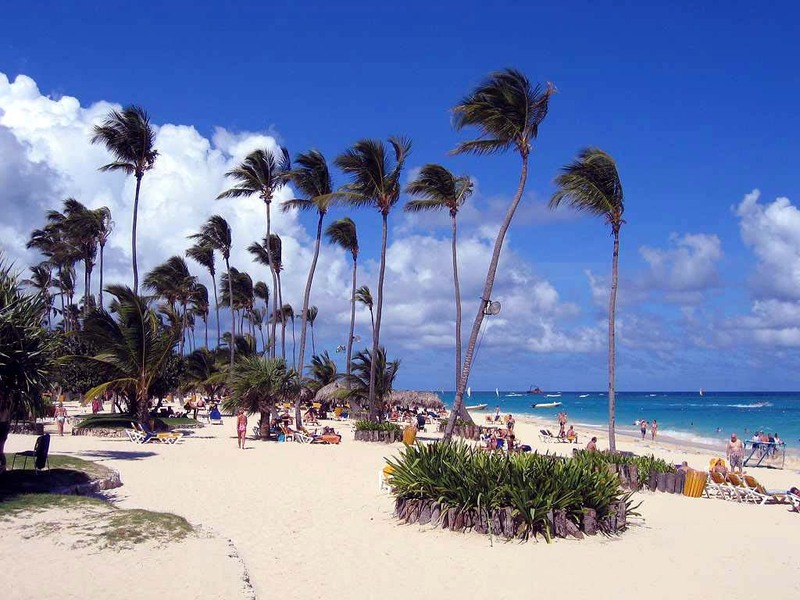 Address: Punta International Airport, Bavaro-Higuey, Do, Dominikana. International Airport Code - PUJ. If your budget is limited, it is better to book a car in advance, since rental rates increase with decayed availability of vehicles. Quite often, the cheapest options of golf-class cars in Dominikana can be found in airports. The most popular models representing the mini, compact, and economy car segments in Bavaro-Higuey are: Pontiac Matiz, Kia Picanto, Hyundai Getz, Opel Corsa, Toyota Yaris, Suzuki Swift and others. When hiring a budget hatchback, it is definitely worth saving on insurance deposit (franchise). Deposits on small cars in Dominikana vary from 100 to 1.000 euro/dollars. Check the rental conditions of each car in your selection to find a vehicle with a minimum deposit. If your routes in Dominikana are foreseen to pass through hilly areas or mountains, it is not recommended to consider very small cars for rental. Their engines are usually insufficient for a confident driving on the roads with long or steep climbs. At the rental office in Bavaro-Higuey, consider to take a 'Breakdown Assistance' package or ask an officer for a contact data to use in case of a vehicle breakdown. Cheap cars are sometimes unpredictable in operation. 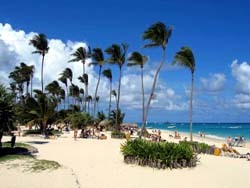 OrangeSmile.com wishes you a safe and great trip to Bavaro-Higuey! There are always many beggars at traffic lights and intersections. When driving, it is better to keep windows fully closed. If you are used to driving with car windows open, you should check there are no items left on the seats as they can be stolen through an open window in a couple of seconds. When driving in the countryside, you should pay attention to the livestock. Goats, horses, pigs and cows often appear on the road. Sometimes they even stroll on the streets of big cities. In some cities, roads are full of sellers, who offer various souvenirs and trinkets. Once the stream of cars stops at an intersection or a crosswalk, they walk between the rows of cars and offer their goods to drivers. Out of hundreds of restaurants in Bavaro, it is hard to define the best ones. Many locals and guests of the area head to Cuts and Grill to enjoy delicious meat. This restaurant offers mouthwatering grilled steaks, and each meat type has its own cooking method. Various vegetables, which are also cooked on an open fire, are the most typical garnish to meat. The restaurant has an incredible variety of beer, burgers, and various sauces for meat. Wacamole is a restaurant and bar that is also very popular with everyone who enjoys the relaxing and casual atmosphere. All fans of seafood and Mexican cuisine will be in love with it. Wacamole offers traditional tacos with various fillings, best tequila and roasted seafood, and various fresh vegetable salads. This restaurant is a great destination for everyone who wants to relax in the midst of a hot day. Wacamole offers a wide range of refreshing beverages and cocktails. Kats Corner café works from early in the morning until late at night. Many travelers visit this café to enjoy a breakfast there. Mexican cuisine makes up the basis of the menu, but some food has been so much shaped by local culinary traditions that it tastes completely different. Kats Corner offers popular nachos with various sauces, interesting fresh vegetable salads, and amazing fruit desserts. A fantastic choice of fresh juices and pastries make this restaurant attractive for families.